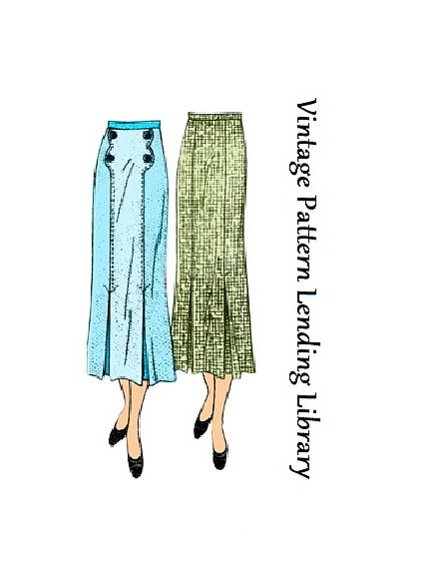 Have you ever come across the perfect fabric that goes with another fabric you've been waiting to do something with? Well, this darling plaid came into my life and I just had a to make a new outfit around it. It's a synthetic Charmeuse, which is not a regular go-to for me. I much prefer silk. 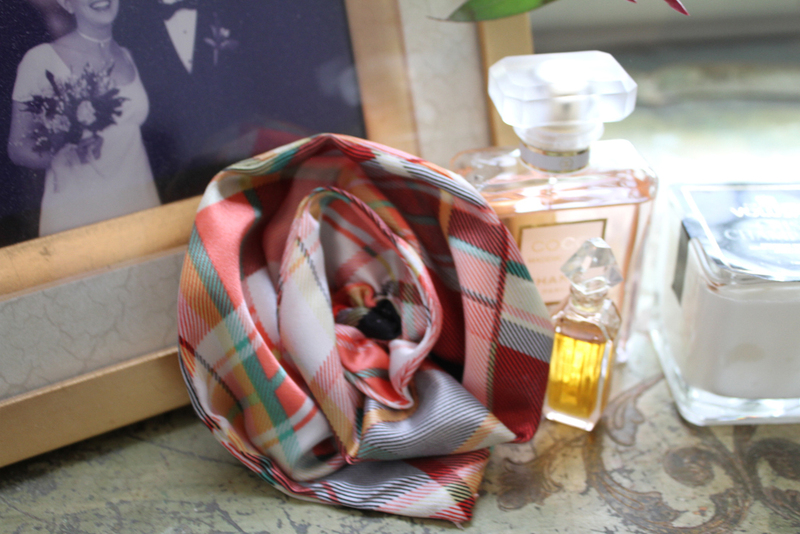 However, when I saw this plaid which was printed on the diagonal, it really screamed 1930's blouse, right at me! AND it matched perfectly with a beautiful green wool that's been waiting to be made into something for quite some time. 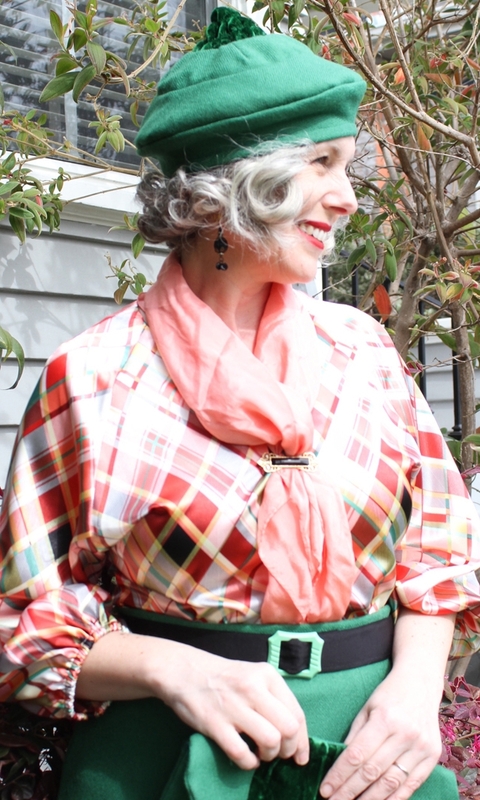 This outfit doesn't exactly fit into my "Miss Fisher Wardrobe" goals, but it does kind of echo some of silhouettes of the (Miss Fisher) era worn between 1928 - 1932, and definitely covers the "Colorful" way she dresses on a regular basis. 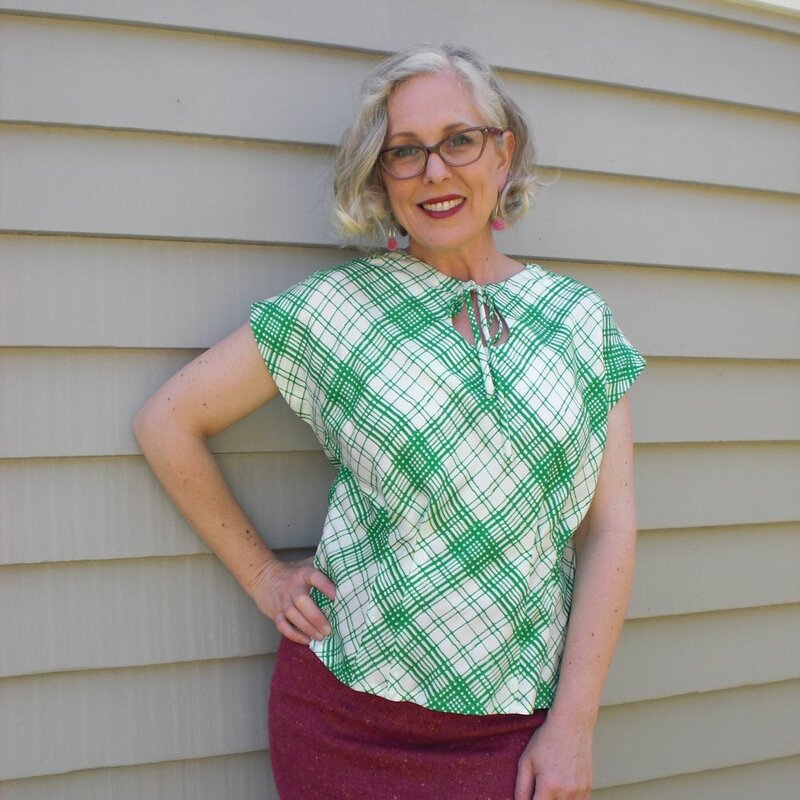 The emerald green of the wool is one of my favorite colors and I couldn't pass up the opportunity to make this skirt, for which I had a pattern waiting in the wings. 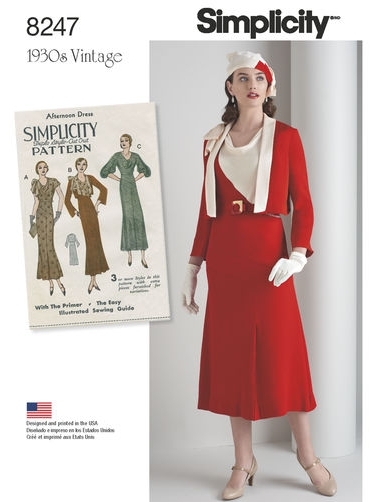 I've used this pattern twice before, once recently using a wool tweed and made slightly shorter. You can see the post for that skirt by clicking here. Having more fabric than I needed for the skirt, my mind wandered into the world of accessories. I've been wanting to try out a couple different patterns - one for a 1930's hat and one for a clutch from a book that I had on my shelf. 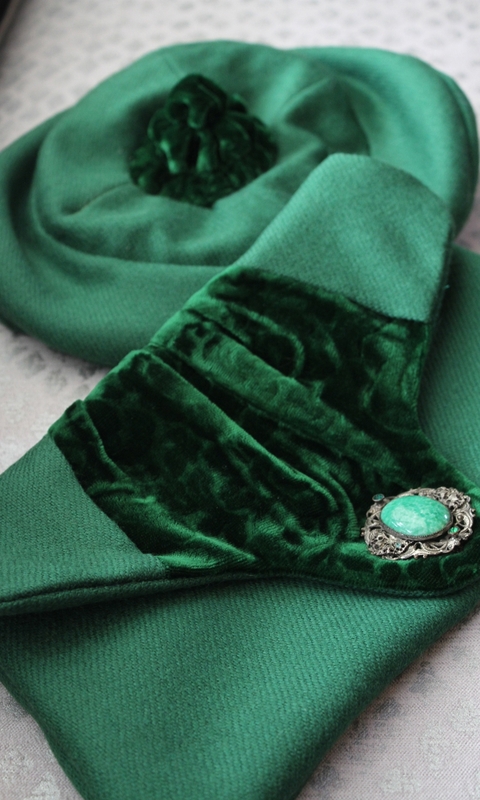 I found a small piece of velvet in a coordinating color (to the green) that I was able to use for both the hat and the clutch to give them each a little depth and contrast. The top piece of the hat, which makes the point is actually a circle that is gathered in 3 spots fitting into the circle of the next piece. The hat is comprised of 4 hat pieces (3 for the top and one for the side) and a hat band that finishes off the bottom edge. The pattern did not call for lining, but I added some because it gives some structure to the finished piece. 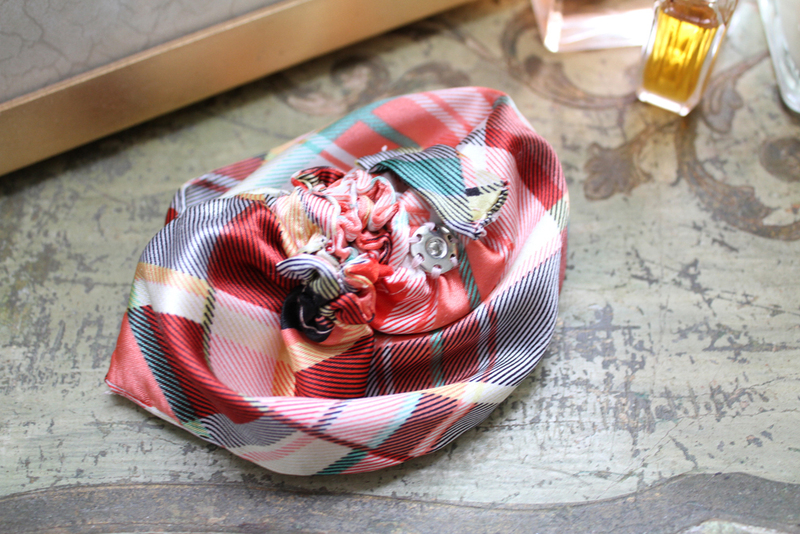 I really like the very 1930's, whimsical nature of this silly little almost "beret". For the clutch, I had originally planned to add a trim between the velvet and the wool, but got so excited to finish the bag, that I forgot. In the end, It's fine without the trim. I added a stone and filigree broach to give it some pizazz. 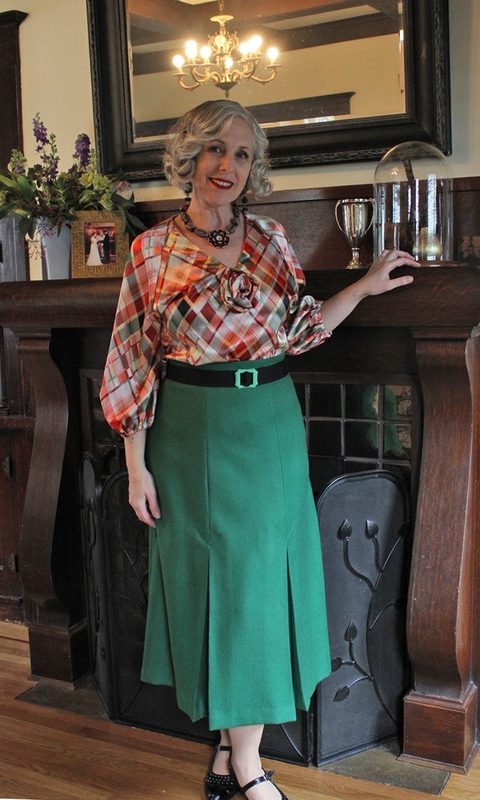 The Blouse was made from a Simplicity re-issue of a 1930's dress pattern, and shortened to blouse length at the hip. 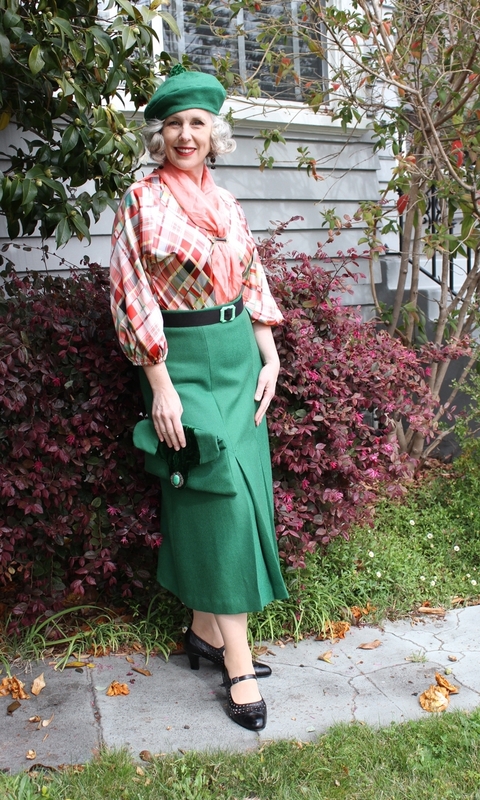 I used the version with a v-neck & 3/4 length puff (at the cuff) sleeves, that seemed to suit the fabric being used. It is a raglan sleeve made from what appears to be a kimono style shape, with a dart at the shoulder. 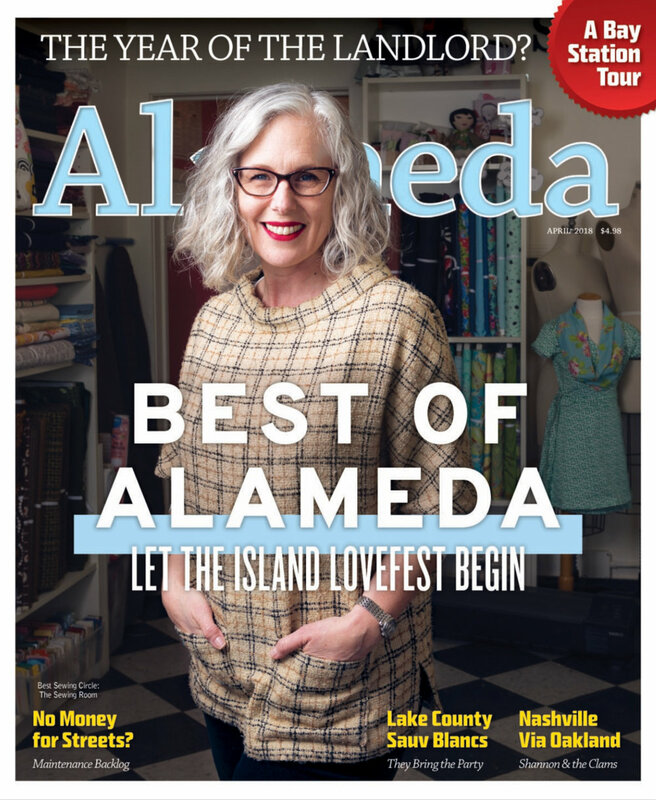 If I do use this pattern again, I will re-shape the raglan armholes and side seams so it fits a bit better under the arm and around the bust. It does not hang perfectly in this area, which is my only disappointment with the whole project in general. No reason to complain overall. Also, I added a little tab at the front neck so that I could loop a bow through it or hang a flower from it which is a very '30's detail. In the photo above you can see the flower I made by creating a long double sided triangle and gathering the bottom straight edge. Rolling the gathered edge and sewing it at the bottom, creates the rose-like shape. The fabric color pattern, serendipitously, arranged a black point at the center of the flower. The flower was finished off with a tab of it's own that snaps in place around the tab on the dress.